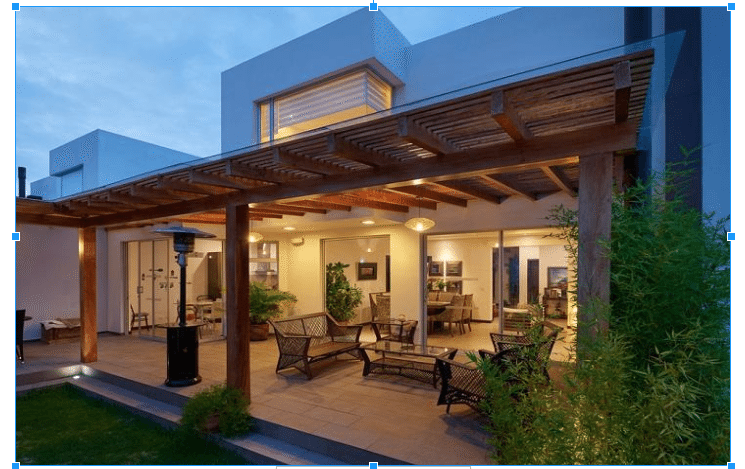 Pergolas have become the most happening corner of the house for modern homeowners. They offer you not only sometime alone in peace, but also a chance of spending memorable moments with your loved ones. Whether you have a small house or a luxurious one, you can always build a pergola. However, it is important that you plan and decide upon the best design to make the most of the available space. 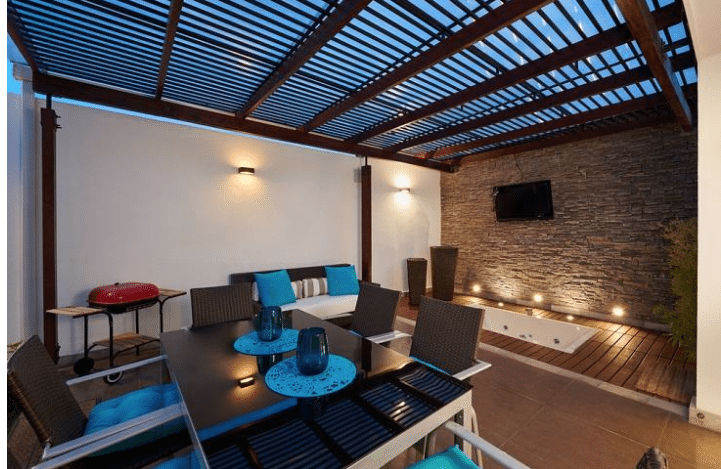 Here is An Insight into Different Pergola Ideas and Plans. Open and shut sides- Usually, homeowners build pergolas with all four sides open but you can add a bit of your own idea to it. To increase the factor of seclusion and privacy, you can simply use three trellises on any one side. You can do this too other two sides also leaving one side open. This open and shut style maintains the connection of pergola and its openness with the landscape. Hardscape transitions- It is true that the pergolas make the transitions easier from your home to other hardscape location. In this type of style, you can provide a shading structure to your kitchen and swimming pool outside. You can also space the roof board according to your need. Make sure to put in a way that it shields the sunlight. You must know that this particular pergola plan depends upon the closeness to provide more shade. Accents- If you have a space constraint then you have to build the pergola in a limited space only. However, you can enhance the entire look of your patio with that small designed pergola only. For this, you will have to add a unique backdrop to make that boring exterior façade interesting. As far as the seating space is concerned, you can add a trellis on any side of it to enjoy that secluded and amazing backdrop. Material magic- When planning your own pergola, fabrics can be the most wonderful accessory. For instance, you can use the curtains to block the unwanted view or the harmful UV rays of the sun. In fact, those pull back fabrics will provide a great flexibility in the enclosures. The best part is that they are outdoor safe. So, this is what you can call the material magic. Roofed pergola- If you think that the pergolas have to be semi-open to the sky then you must change that thought. Pergola is your own personal space, which you can design in your own style. What you can do is integrate it in the roof structure of your house. The narrow porch structures gains shade from the shingles and make it look great. Including Arbor- So, this is the best you could do to your pergola. Add that bit of arbor with the trellis make the most charming structure. Undoubtedly, arbor can prove to be the finest thing in the hardscape to make your entrance lovely. Adding those narrow seating nooks will make it a peaceful resting place while the overhead spacing can offer you the opportunity to grow a flowering vine. 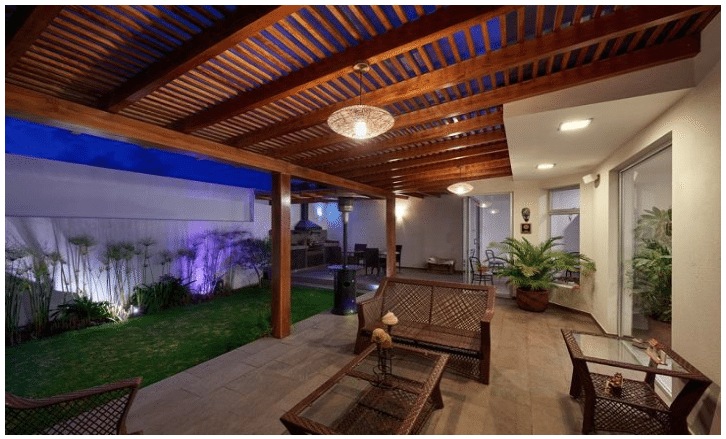 Besides these pergola ideas and plans, you can always take the help from professional pergola builders. Just call them and take their guidance.